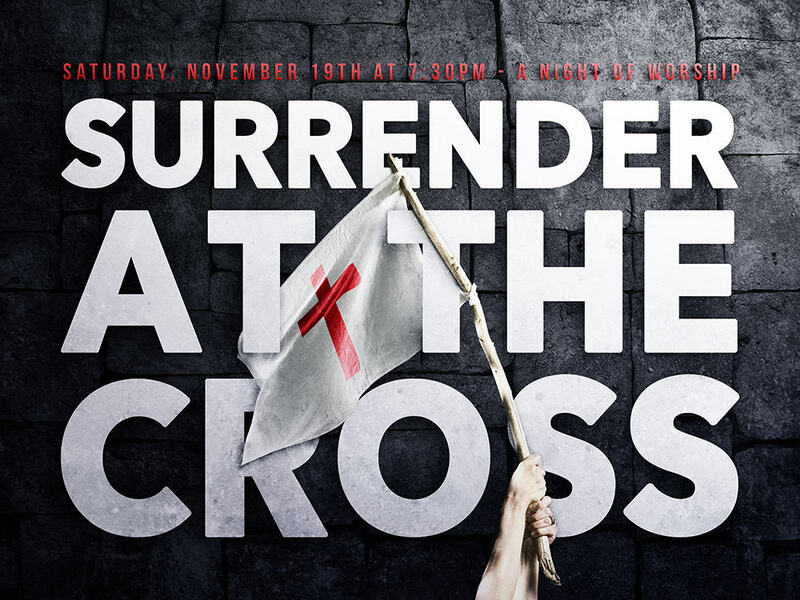 On November 19th, at 7:00 PM, Life Church will host Surrender at the Cross: A Night of Worship. The focus of the evening will be to provide an atmosphere of true and honest worship that fosters surrender to Christ. Each of us has a tendency to hold on to things which can put a barrier between us and Christ- maybe it’s sin, maybe it’s guilt about something that has happened in our lives, maybe it’s control, maybe it’s a relationship, maybe it’s our schedule. Even good things can at times come between us and Christ.